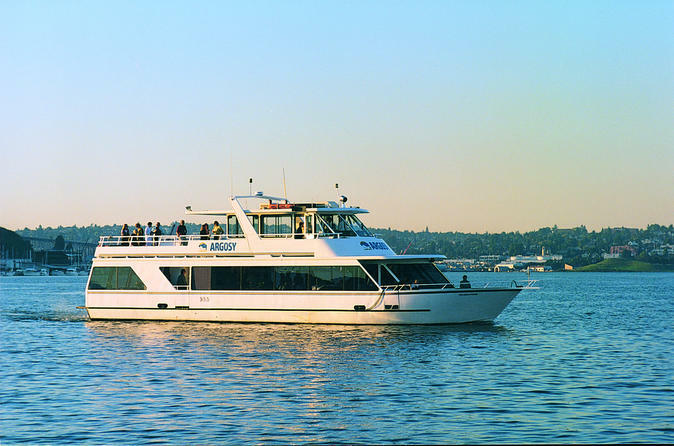 From picturesque houseboat districts to panoramic views, experience the best of Seattle two different ways--Wine Tasting on Saturday or Seattle History on Sunday. Saturday Wine Tasting on Lake Union - Sit back, sip, and savor the wine (and views). Our professionally trained wine stewards will guide you through tastings of each featured vintage as we enjoy the waters connecting Lake Union and Lake Washington. This 1.5 hr cruise is highlights & sights only, no narration. Adults 21+ and minors are welcome. Cruise-only, no wine tickets available. Sunday Historical Cruise on Lake Union - Around every bend our professional tour guides will reveal historical secrets (like the tricks of the prohibition-era rum runners), and illustrate how the 1936 U.S. men’s Olympic rowing team scored one of the most improbable gold medals in U.S. history. Bring the family to enjoy themselves on this informative, fully narrated 1.5 hr sailing. See the historic houseboat district on Lake Union and Portage Bay, cruise past Husky Stadium into scenic Lake Washington, and view the amazing waterfront homes that surround the lake. This narrated cruise is a fantastic way to experience the Pacific Northwest. See postcard-perfect view of Seattle’s dynamic skyline by boat on this impressive cruise. You MUST be 21 or over with valid government ID to participate in wine tasting, but all ages welcome to cruise.